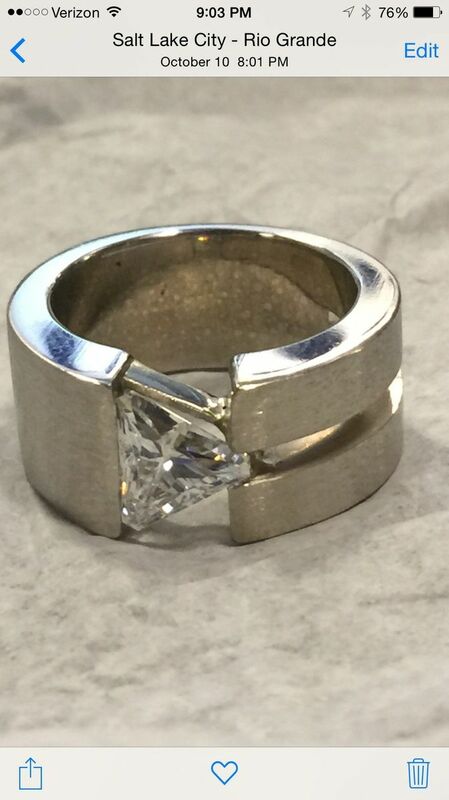 Renkevious had a specific design in mind and sketches this beautiful ring we made for him. It consists of a 1.50 trillion cut center stone set in a tension setting with a brush finish. 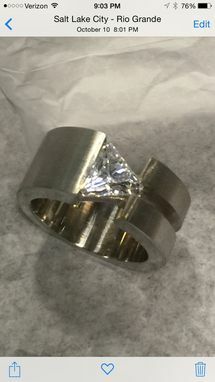 It turned out awesome worn for a engagement ring.